Hi-Lite is a full-service airside maintenance firm focused on improving the safety of airports around the world. By creating partnerships with airport operators, Hi-Lite’s primary efforts concentrate on reducing the likelihood of runway incursions and excursions. These efforts are a result of innovative processes to proactively manage pilot visibility and runway friction. 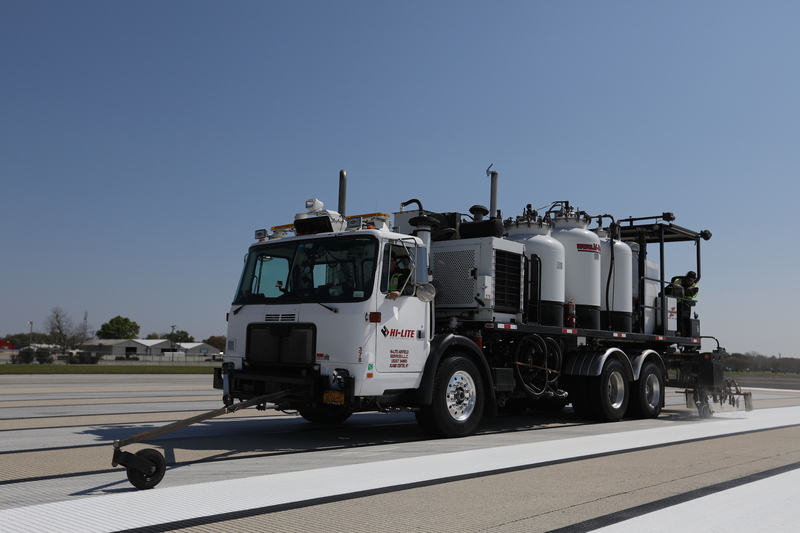 Our best practices in airfield markings and rubber/markings removal exceed FAA/ICAO recommendations and lead to increased ROI and extended asset life. With increasing air traffic and congested airfields, our industry is presented with challenges to preserve safer operations. For decades, Hi-Lite has witnessed the lack of proactive maintenance strategies in the airfield. In order to prepare our airports to face these challenges and be ready for tomorrow, we are launching AMS (Airfield Maintenance Services). AMS is a multi-year contract that serves as a platform to consolidate all airfield maintenance services into a comprehensive plan for airports. Implementing AMS means stepping beyond conventional means to achieve more for less and eliminate safety risks. Hi-Lite will be answering questions related to AMS at inter airport Europe and how it can be implemented at airports. Download the guide to see how AMS can benefit your airport and prepare your airfield today for a safer tomorrow.